TNT wanted to create excitement behind the launch of a new sci-fi show executive produced by Hollywood heavyweight Steven Spielberg. This was the tentpole show of the network’s launch season and the network wanted to position it as the network event of the summer. 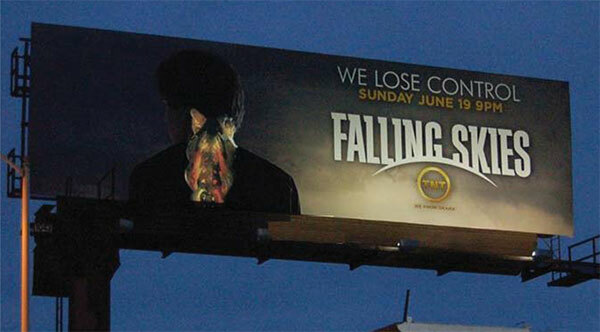 The account team decided to market Falling Skies as if it were an epic motion picture. The agency wanted to encouraged media hype by targeting adults 18 to 49 in key media influencer markets - New York and Los Angeles - with unique media formats and selections during tease and launch phases. 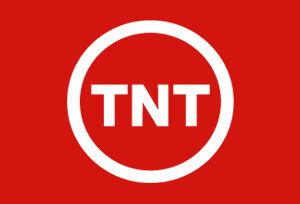 TNT also wanted to build reach and continuity in top Turner Broadcasting markets. 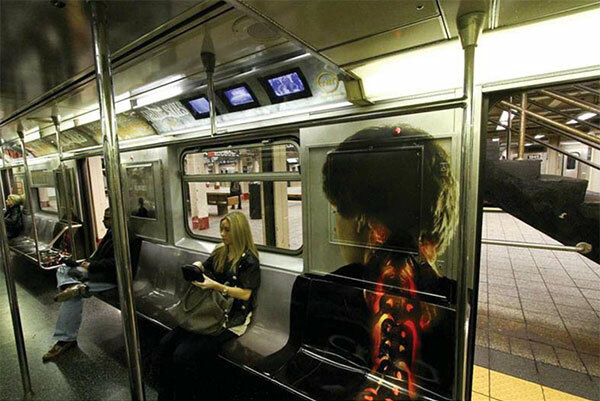 The first phase was a teaser campaign, which used local unique and spectacular media to create a grassroots feeling and establish the brand essence. 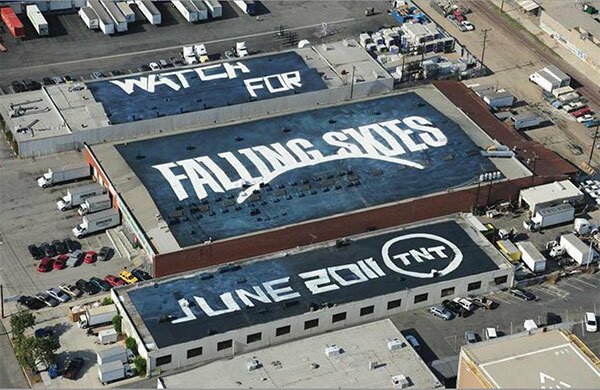 The second phase promoted Falling Skies as the television event of the summer in select markets with a heavy up in New York & Los Angeles and rollout in key Turner markets to promote tune-in and summer viewership, both by using traditional media in non-traditional ways and securing unique non-traditional media to bring the theme and feeling of the show to life. TNT’s sci-fi drama Falling Skies pulled in the best ratings for a new cable series launched this year (2011) – 5.9 million viewers. One of the passengers on a Virgin America flight from New York to Los Angeles even posted a video of the airport advertisement on YouTube.